Sarah and Dimity welcome two guests to talk about getting kids active and healthy. First up is Olympian Rod Dixon, a father (and grandfather!) 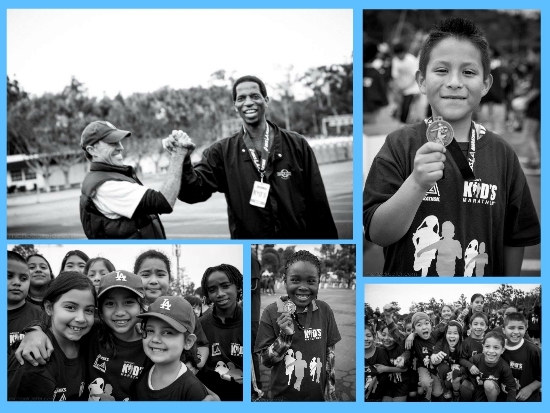 runner who founded Kid’s Marathon Foundation, an in-school running and nutrition program that gets kids moving. In his delightful Kiwi accent, Rod shares stories about his start in running and how his experience lead him to help “keep kids calibrated” by bringing running into their school day. This 1983 New York City Marathon champion shares numerous race-day tips, including the importance of slowing down in the first half of a competition. Next the gals are joined by Cathleen Kosak, a mom of three and a physical therapist. Cathleen shares the story of how, after reading about Rod’s program, she brought his program in her kids’ elementary school in suburban Connecticut—and has since helped launch it city-wide. Hear Cathleen talk about how her community’s moms and kids “grabbed hold of” the program and, well, ran with it.